Last night I read these two books that I’ve had stacked in my bedroom for quite a while, A Veiled Deception and The Best Man. 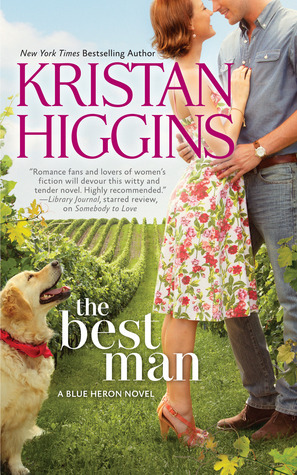 The Best Man was an engaging light American romance. There are some hardships that the main character overcomes, death of her mother and being jilted at the altar in front of her whole town. A “boy” from the wrong side of the tracks and a family full of characters who love each other and show it in their own way. I liked the characters and the story line. This was a light, fun read. 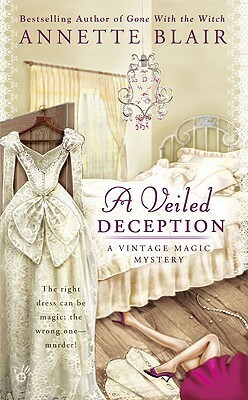 A Veiled Deception by Annette Blair is a magical themed cozy mystery, involving fashion, weddings, family, lost love, secrets, and of course, murder. The main character is Madeira…and she has sisters Sherry and Brandy, let’s just leave that alone. The fashion information that was incorporated was interesting to me. I like vintage fashion and Madeira,”Maddie” is interested in fleeing from her NY designer job to open a vintage fashion shop in her home town. Some of the dialogue was a little off, unnatural, but the mystery was interesting and involved secrets and long lost love. The magic end was not overplayed, more psychic than witch, but I don’t know how that will develop over the series. Overall, a fun light cozy read and I will read more in the series. This entry was posted in Book Reviews and tagged book, mystery, romance.